As the centre of the South, Llucmajor is worth a visit on any day of the week, and not only on market days (Wednesdays, Fridays and Sundays). The locals, and particularly the town’s artists, are dedicated to coming up with fantastic, creative ideas that turn a visit to Llucmajor into a truly exceptional experience. 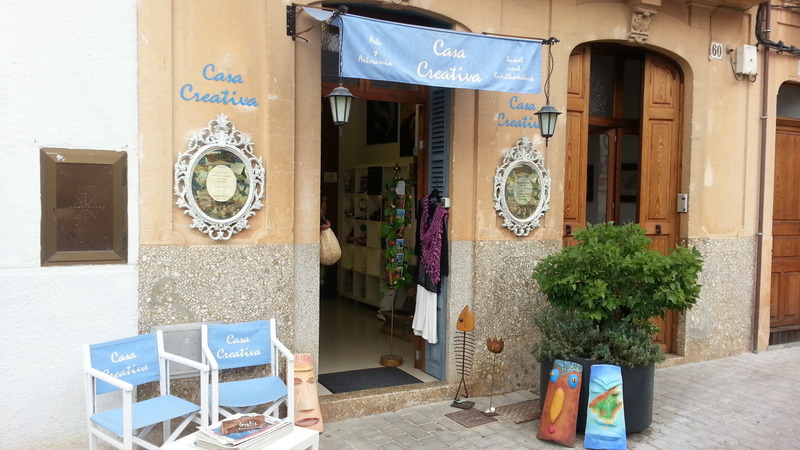 Casa Creativa in Llucmajor offers a carefully selected range of regional handicrafts. Apart from jubilant celebrations to mark the local “Es Firò” holiday in Llucmajor from 12th–14th October there was also plenty of art on display, free of charge. During this period regional painters and sculptors exhibited their works in the private entrances of houses, turning these spaces into studios. On Ronda Migjorn, where the Porta Mallorquina estate agency is also located, you will find the long-standing “Bar Doze”. Formerly a traditional Majorcan bar, it is now THE place to meet in Llucmajor. A modern café with tasty food by day, in the evenings it’s the perfect spot for a cocktail. Just a few minutes from the centre of Llucmajor, the Mhares Sea Club directly overlooks the water, and offers culinary delights and relaxation. The beach club with restaurant and chill-out lounge not only has fabulous sea views, but is also good value for money. Since it’s off the main tourist drag and not yet overcrowded, the Mhares Sea Club is still a real insider tip. It is highly recommended as an event venue as well, with weddings being held in this enchanting setting on a regular basis. In our opinion, a visit to the club is a must if you’re in the South of Majorca.